An EBF Maiden Stakes over 7f on good to firm going. Win prize money of £37,000 with the potential of a £10,000 bonus. No wonder this is a race which brings out some of the best maidens from the most illustrious trainers. A few of these will be contesting pattern race class in their next starts. Fourteen juveniles and most the apple of their trainer's eye. A race with plenty of future winners. I will try to keep this brief as I am rushing about like a headless chicken. Black Trilby ran a cracking race at Goodwood and this horse has proven ability. Must have fair each-way claims at 15/2. Rivet is held in high regard by William Haggas and ran well on debut at Ascot over 6f. This step up in distance will be a plus and I'd expect a very big run. Hugo Palmer has Via Serendipity at the top of his two-year-old list and the stable has been waiting for this race. This son of Invincible Spirit was purchased at the breeze-up sales for 320,000G. 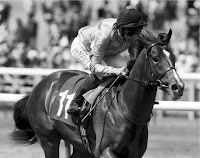 Pat Smullen is booked to ride which adds to the thoughts they mean business and owner V I Araci sent out a class juvenile in Koropick to slaughter the opposition at Thirsk. From what I understand, this bay colt is better. The problem? He may well have to be better because this is one hot maiden. No doubt Via Serendipity will be fit and ready to go well but it will take a mighty effort for a debutante to win. However, even with those concerns, I will be expecting a bold show. Fascinating horse. Win or lose make sure you follow this juvenile because if he doesn't win this season I'll be astonished. Charlie Appleby had two horses entered for this at the first declaration stage. the other being Deningy, who takes his chance at 3:30 Sandown. Capezzano wouldn't head here in favour of that gelding for no reason and without a doubt, has ample ability. The stable's juvenile can go well on the racecourse bow and one to respect although I do feel those with experience will most likely hold the aces. Conclusion: A fascinating race. I am very excited about this contest and all of the horses noted. 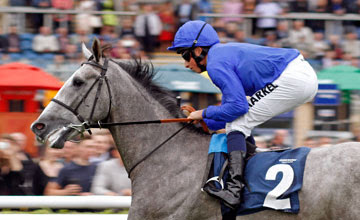 Black Trilby impressed at Goodwood and I can see him having sterling each-way claims. Rivet will be thereabout. Definitely a tough nut to crack. Very excited by the potential of Via Serendipity. This breeze-up buy has real ability. Can he win on debut? If he does, he will be very smart and heading for Group 1 level. Capezzano is held in high regard although I do feel that originally Deningy was the first choice but for whatever reason plans have changed. Which horse to bet? Black Trilby would be my safest option with some value at those odds. However, this can be a tricky race and a big field can bring added problems. Via Serendipity has been a horse I have been waiting to run but I do think this is a test for a debutante.